A Henry Herbert creation for a young City gentleman. The electric blue fabric from Ermenegildo Zegna is complemented by some sparkling, brown shoes and a crisp white shirt. 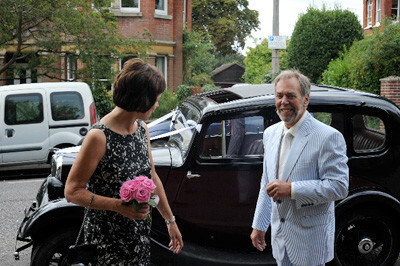 A good looking bespoke suit on a good looking chap by Henry Herbert Tailors! 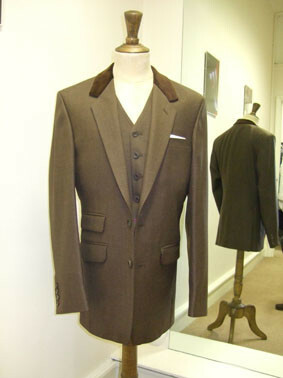 Made with a floating canvass, the suit is British made and cut. As much of the suit as possible is hand tailored. As with every suit we make, unless you choose our Express service, the suit will take 8-9 weeks to make – we have a half way baste fitting and then a forward baste fitting before the suit is finished and delivered. Fabric from Ermenegildo Zegna, Italy. See also: A Henry Herbert, brown shoes, City, creation, crisp white shirt, English, fabric, fabric source, gentleman, Henry Herbert, Holland, holland and sherry, Scotland, Scottish, scottish wool, Sherry. 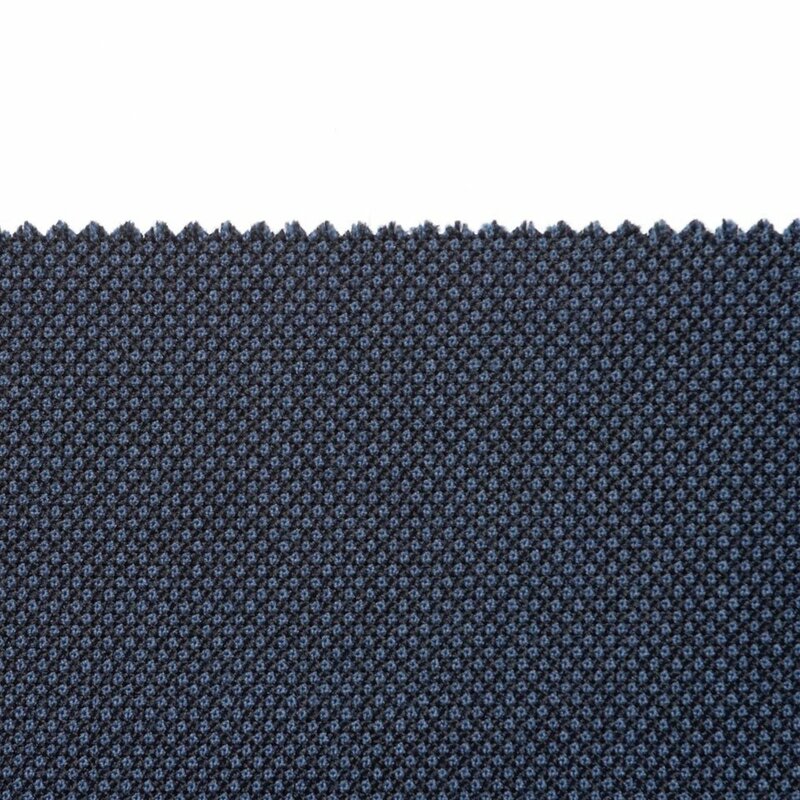 Navy birdseye is perhaps the ultimate cloth for a timeless and all season suit. Don’t just take our word for it, ask James Bond. A navy birdseye suit was the clothing of choice for Pierce Brosnan in Goldeneye back in 1995, and just like James Bond the cloth and the suit proved timeless, indestructible, and stylish to the end. Birds eye is an unusual and special pattern. From a distance it appears solid but up close it creates a subtle surface full of depth without being distracting. It has more depth and a far richer effect than a solid worsted especially when you choose a dark grey or a navy fabric. It’s a mature, traditional fabric with a traditional but timeless pattern of small circles. Bird’s Eye has a tiny dot in the centre that’s hard to see from a distance. The pattern, like the name suggests, resembles a bird’s eye and is characterised by the small pupil-like centre dot. Many people confuse the birds eye pattern with nailhead, but there is a subtle difference that definitely adds texture to plain colours – birdseye cloth has distinctive round larger dots on a diagonal layout. A navy birdseye suit like the one that Pierce Brosnan wore – is unbelievably stylish, though you hardly every see it worn anywhere these days because it seems to have fallen out of fashion with the younger crowd. Recently though it seems to be making something of a welcome comeback as men search for something traditional but slightly and subtly different. For me navy birdseye is the ultimate traditional cloth for a timeless, all-season suit that is definitely contemporary enough to be worn today and is also durable for regular office wear. When you see someone wearing a well-cut navy birdseye suit you know that he is seasoned. Personally I love the birdseye weave. 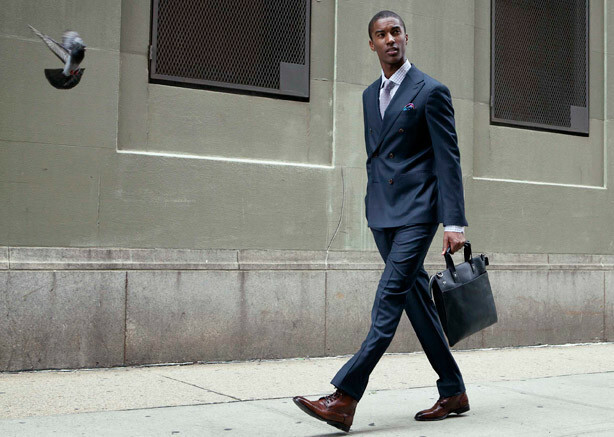 To me it gives you a mature look that is both perfect for every day wear and durable enough for a hard day in the office. The navy birdseye is one of my favourite patterns for a suit because it creates a subtle surface interest that has a great depth to it without being too distracting. It’s also a very welcome variation from the usual plainer suit cloths helping you subtly stand out from the crowd without people quite knowing why. Will a navy birdseye suit you and your style? Of course it will. See also: bespoke suit, Birdseye, fabric, Henry Herbert Tailors, Holland, holland amp, petrol, Savile Row, Savile Row Suits, savile row tailor, Sherry, Shirts, Suits, Tailored Suits, Visiting Tailor, wedding suits. 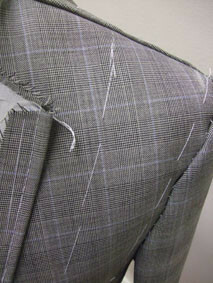 A great looking Holland & Sherry fabric in a tailored suit Henry Herbert has just made for a young man from J.P. Morgan. 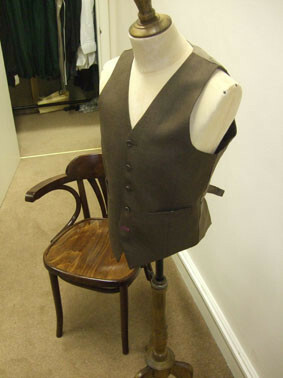 The pictured suit is at its first fitting stage, or what is also known as a baste fitting. This is followed, a few weeks later, by a second fitting , or what is sometimes called a forward fitting. And a little while after that, depending on any necessary alterations, the suit will be completed after a third fitting, or what is known as a finish-bar-finish. 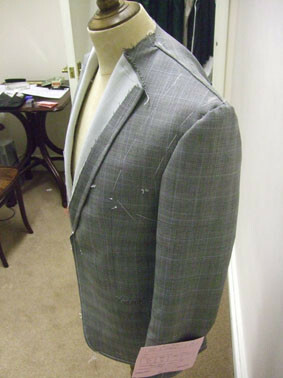 This is all part of the bespoke suit making process. 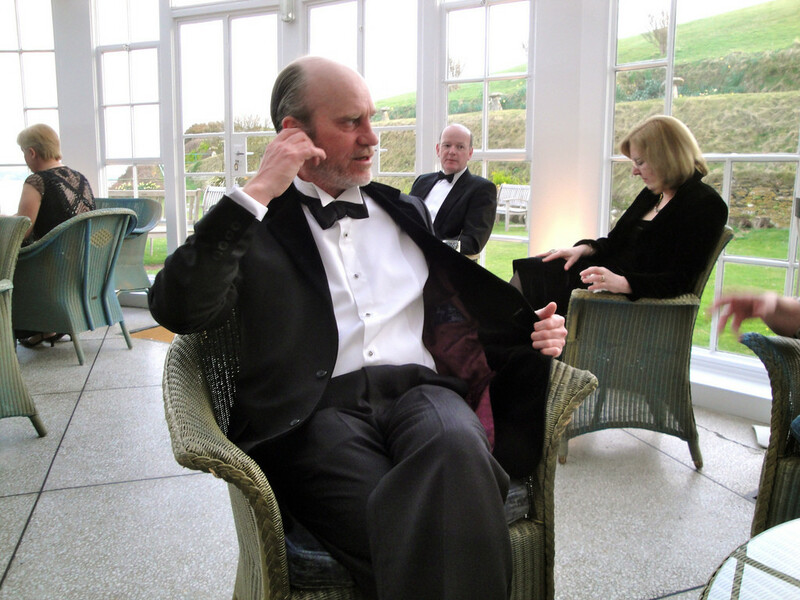 Henry Herbert Tailors cuts, makes and finishes every single suit in England. See also: Bespoke Tailoring, bespoke tailors, England, fitting, Henry Herbert, Henry Herbert Tailors, Holland, Holland & Sherry, holland amp, London, London Tailor, necessary alterations, Savile Row, Savile Row Suits, savile row tailor, Sherry, Shirts, suit, Suits, Tailored Suits, wedding suits. 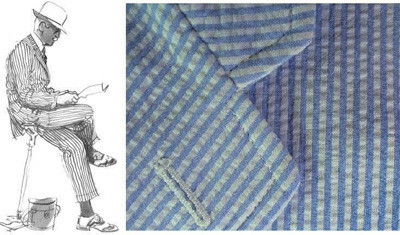 Henry Herbert Tailors use the most luxurious wools in our suits and the smoothest cottons in our tailored shirts. We visit customers whenever and wherever is good for them, with our Savile Row by Scooter service. However, for those customers which prefer to meet on Savile Row, we meet customers by appointment at the Holland & Sherry showrooms. The photograph above (taken by the excellent photographer Greg Funnell for Henry Herbert) is a glimpse into one of the many cupboards of fabrics they house there. If you ever have a special or unusual fabric request, the chances are extremely high that they will have it. 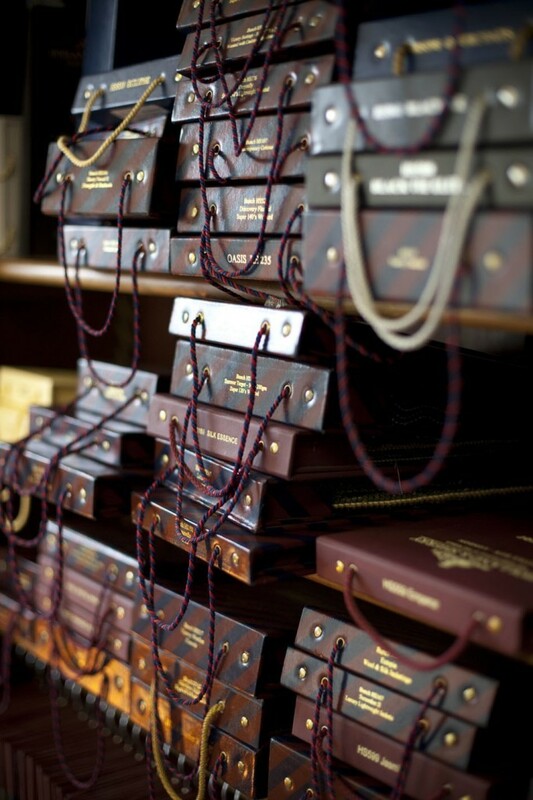 To have a Henry Herbert Tailors visit you, or if you wish to visit us simply call 020 7837 1452, or book a tailor here. See also: 9 Savile Row, amp, bespoke london tailor, Bespoke Tailoring, bespoke tailors, funnell, Greg Funnell, Henry Herbert, Henry Herbert Tailors, Holland, Holland & Sherry, holland amp, mayfair tailor, Nick, Savile Row, Savile Row Suits, Scooter, Sharon, Sherry, Suit Fabrics, tailor, Use. 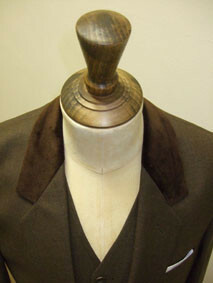 Sherry Archives - Bespoke Suits By Savile Row Tailors.